A few months ago I was honoured to review the Mia Tui Minnie Amelia bag which I have used for travelling to Mexico, days out and work. It is so good to be able to carry all my personal possessions as safely as possible and I personally recommend Mia Tui bags for the thought that went into the design. 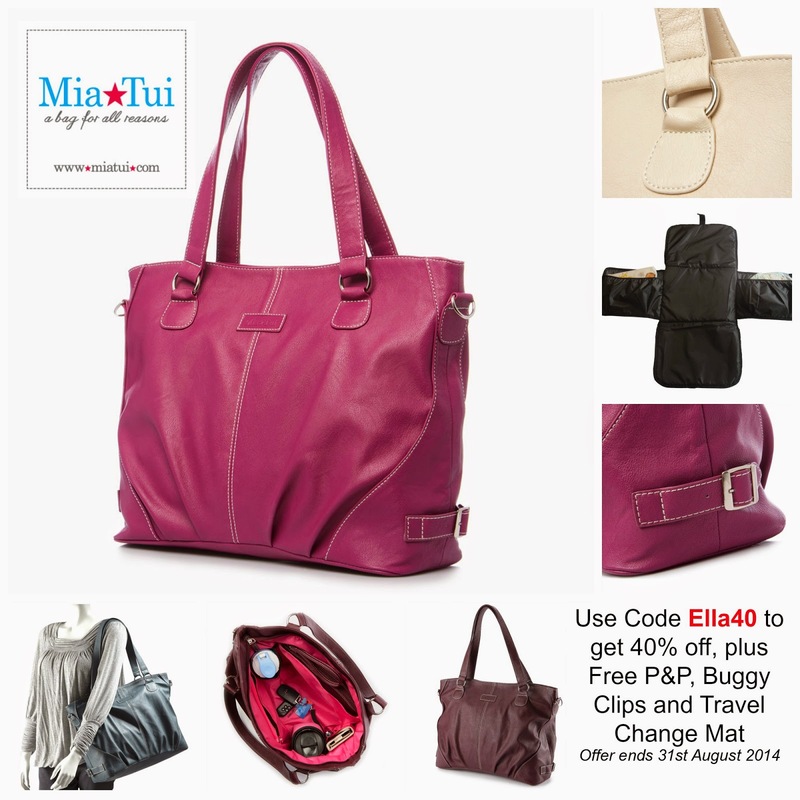 The lovely people over at Mia Tui have a fabulous offer on at the moment for their stylish Ella bag in your choice of colour, it comes with buggy clips and a travel changing mat all for £39.00 including P & P. The code for this special offer is Ella40 and they are offering free UK mainland postage in August. The promotion runs until the 31st August. I personally love the cream one, what is your favourite colour? What a beautiful blog you have lovely. I'm going to bookmark your page as hubster's put me on a no-spend month (he thinks I can't manage it but I'll show him hahah).